Athlete’s foot is characterized by itchy, hot, red, scaly patches between the toes and along the sides of the feet. This type of foot fungus does not clear up on its own, but rather, requires treatment with an over-the-counter topical medication available at your local pharmacy. While it may seem innocuous, potential complications of athlete’s foot include the development of secondary infections like cellulitis, staph infection, jock itch, ringworm, and toenail fungus. 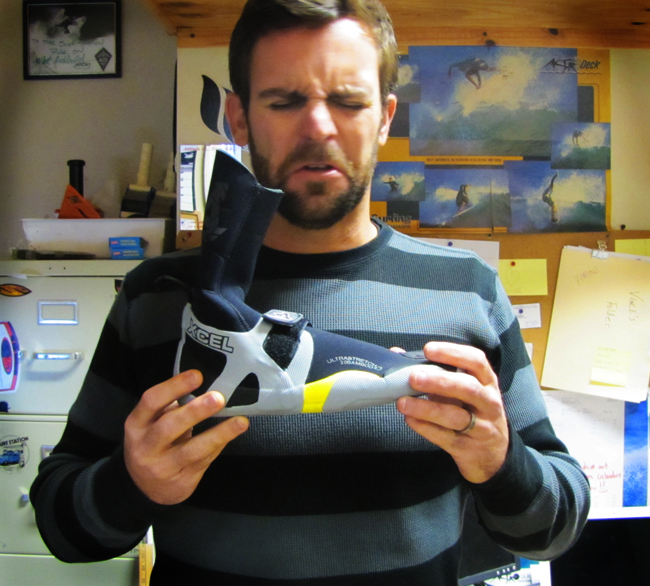 Don’t let your wetsuit booties develop a stench or fungus! 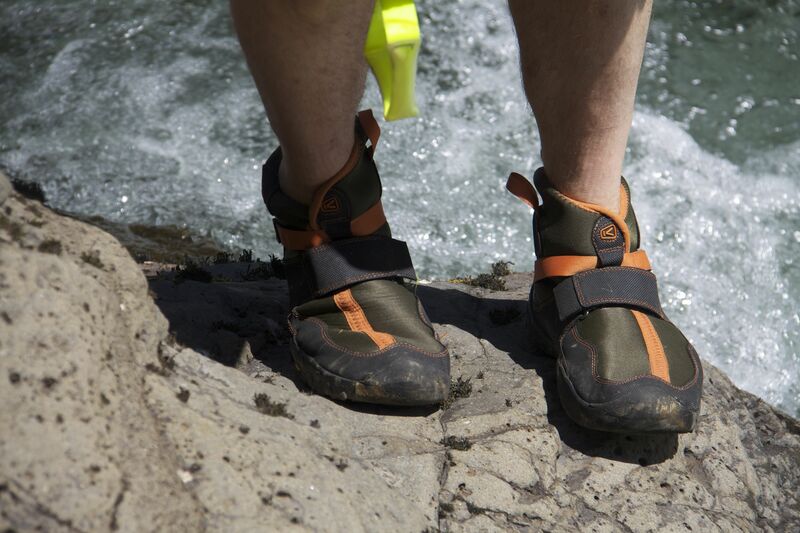 Neoprene footwear is usually recommended by veteran paddlers. This material keeps the feet warmer and drier than other materials, but you’ll still want to remove this footwear whenever you’re not out on the water to prevent fungal growth. Sandals with polyurethane footbeds are another option. Some kayakers wear Crocs to protect their feet while paddling, which allow room for air to get in. Wet boots and waterproof socks are yet another option. – Use neoprene soap, like Nikwax, on your water shoes to freshen them up. – Throw MiraZyme Odor Eliminator into the wash with your footwear and wetsuit. – Booty Fresh is another product designed to keep water booties smelling fresh. – Avoid going barefoot in public lockers, showers, bathrooms, and pool areas. – Change into sandals or dry socks and sneakers once you’re out of the water. – Be sure your feet (especially between the toes) are completely dry before going to bed or slipping into socks. – Pack athlete’s foot cream in your dry bag — just in case! – Spray your footwear with antifungal spray like Tinactin. Buy this podiatrist-recommended gadget to eliminate fungus in your booties. “If there is any fungus living in the fabric, you’re going to reinfect yourself every time you wear the suit,” says one astute kayaker who recommends turning a wetsuit inside out, washing it to manufacturer instructions, drying it completely in the sun, and spraying it with an antifungal foot spray up to the knees. If you have paddling shoes, we recommend buying the SteriShoe UV shoe sanitizer and using the device after every use to kill the fungus and bacteria living inside your shoes. You simply insert the device into your footwear, click the “on” switch, and let the powerful germicidal UV light rays work their magic. Our product uses the same technology that is used to sanitize tools and rooms in hospitals, so you can rest assured that you’re doing the best in protecting your feet. Buy one here!